Teknokia.com - We can turn an android device into a hotspot. The existence of this feature that we can sharing the data connection internet with other devices, such as laptops, smartphone etc through a Wireless Local Area Network (WLAN) or commonly called Wi-Fi. Then how to manage WAN Clients to be able to block them. 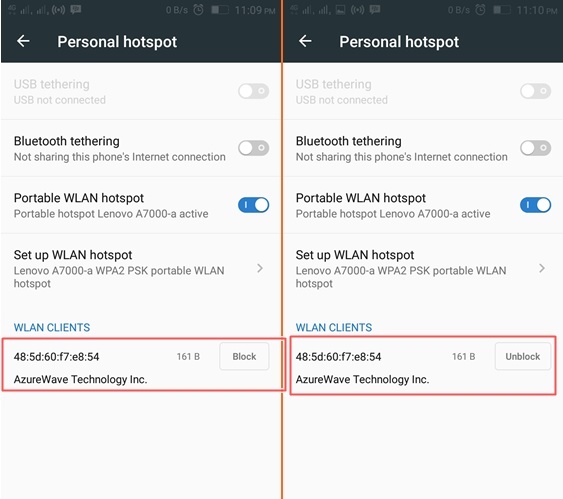 In some devices, there are showing the clients which connected to a hotspot. One of them, I use a Lenovo A7000 with Android OS version 6 (Marshmallows) as an example. Usually there is a wan client notification on the menu bar. Or by manually: Go to setting - select more -select personal hotspot. 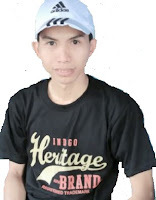 At the bottom, there are some wan clients those are connected, accompanied by the name of wireless hardware manufacturer and wifi adresses. Click "block" to blocking it and the block button will changed to "Unblock", click it again (unblock) to unblocking the device which is connected.